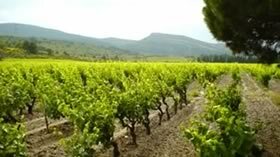 "La Pièce" is the chosen designation in Languedoc for the most beautiful vineyard of an estate. In 1890, 2 years after his wedding, our grandfather, Theophile, had his best friend, Louis Roche, plant "La Pièce" with 16.000 Carignan vines. This 115 year old "Madame" now renders spectacular grapes for an amazing wine. Theophile and Louis Roche would be very proud.